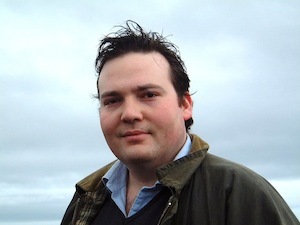 Orcadian Jamie Halcro Johnston has been selected as Scottish Conservative prospective candidate for the Orkney seat in the May 2016 Holyrood elections. Mr Halcro Johnston, whose family farm is at Gyre, in Orphir, also contested the Orkney seat for the party during the last Scottish Parliament election, in 2011. He said: “I’m delighted to have been chosen as Orkney’s Conservative candidate by local members. I’m really looking forward to getting the campaign started. “With the SNP continuing to ignore the decision of last year’s Independence Referendum – a referendum which saw a clear call for Scotland to stay part of the UK, and one which nowhere was more resounding than here in Orkney – May’s election will be a chance to hold the SNP to account on their increasingly appalling record as the Scottish Government. “That means exposing the SNP’s failures on education, on health and on law and order. And also highlighting the real issues that face people living and working in Orkney, particularly those our farming sector face because of the bad weather, as well as the ongoing high costs and unreliability of some local transport links. “With Labour in disarray across the UK, and with the Liberal Democrats reduced to little more than a rump in either parliament, the Scottish Conservatives are now the most effective unionist opposition to the SNP”.